A professor of genetics at Harvard kicked up quite a storm recently when he published an opinion piece in the New York Times about genetics and race. Entitled, "How Genetics is Changing Our Understanding of 'Race,'" the piece by David Reich provoked a swift response from scholars around the globe, including Jenny Reardon, a professor of sociology and the founding director of the Science and Justice Research Center at UC Santa Cruz. Reardon helped write a response in the form of an open letter signed by 67 scholars and researchers from leading universities, posted on BuzzFeed, entitled "How Not to Talk About Race and Genetics." "Race has long been a potent way of defining differences between human beings. But science and the categories it constructs do not operate in a political vacuum," the piece begins. The letter applauds Reich for challenging others' previous misrepresentations about race and genetics, but the authors say he falls short in the realm of "the cultural, political, and biological meanings of human groups." The scholars, from a range of disciplines, say Reich's understanding is "seriously flawed" when he warns in the Times piece that "it is simply no longer possible to ignore average genetic differences among 'races'." Reich's column provoked other responses, including a piece by Andrew Sullivan in New York magazine that called it "a rather seismic op-ed." Sullivan summed up Reich's piece by saying it "carefully advanced the case that there are genetic variations between subpopulations of humans, that these are caused, as in every other species, by natural selection, and that some of these variations are not entirely superficial and do indeed overlap with our idea of race." He asserted that Reich's argument "should not be so controversial—every species is subject to these variations—and yet it is." Reardon is tracking developments from Germany, where she is conducting archival research on the history of the efforts of natural and social scientists to write "expert" statements on "race"—efforts that date back to the 1930s. She said this episode appears to be shaping up as a "touchstone moment." "One of my big hopes is that this whole episode becomes a moment to model why and how we might—must—work together here at UCSC," she said. "Those 67 scholars who signed the BuzzFeed piece included geneticists and biological anthropologists. It was quite the process working it out—hundreds of emails." Yet the effort appeared to be worthwhile, she said, noting that the BuzzFeed letter had received 75,000 views in the days following its posting. "I do think it is going to be tricky navigating this," said Reardon, a leading voice in the field of genomics. 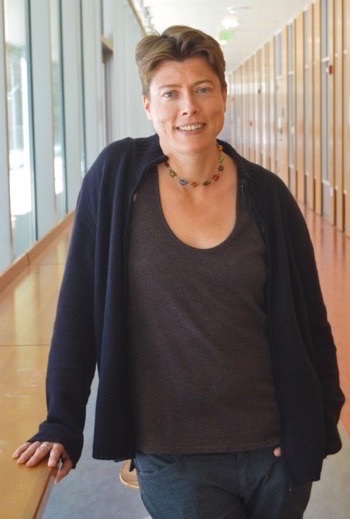 She is the author of two books on the subject: Race to the Finish: Identity and Governance in an Age of Genomics, and The Postgenomic Condition: Ethics, Justice, and Knowledge After the Genome, which was published in January. "The way this is playing out is if you critique Reich, you are anti-science," she observed. "This chills discussion and debate." Although the discussions are not easy, Reardon said she feels "some sense of responsibility. I do see this as an important moment to try and shape, and open up, the public dialogue at the powerful nexus of science, politics, and race."